Drunk one, drunk two! 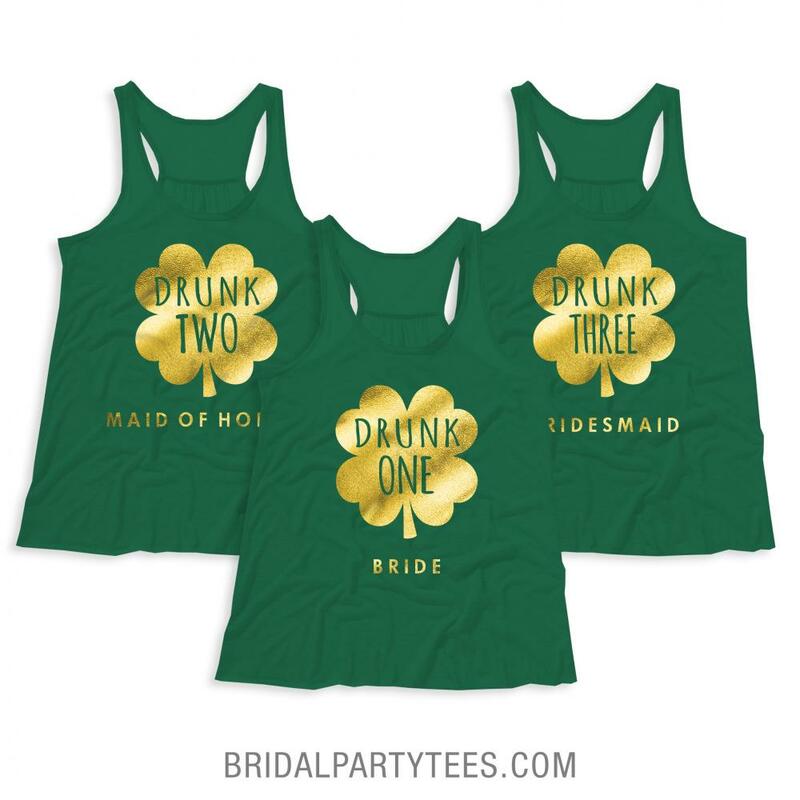 Shake those shamrocks at the bride's bachelorette party with matching St. Patrick's Day shirts! 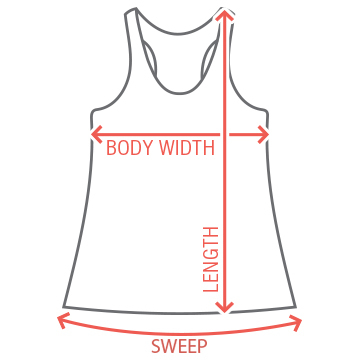 Wear this gold metallic tank top to the brides pub crawl. 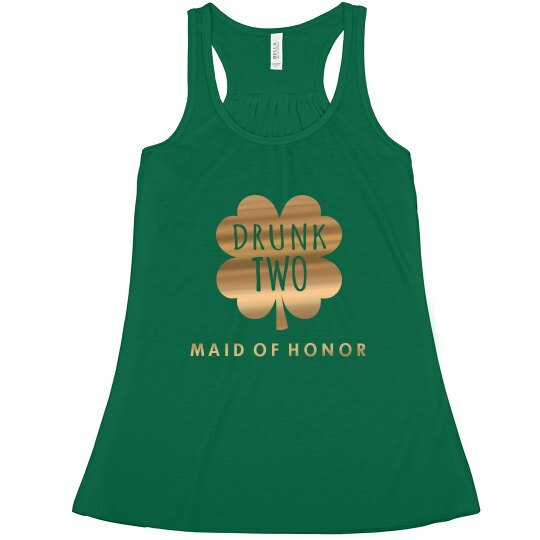 Drink green beer and let everyone know you're the maid of honor!